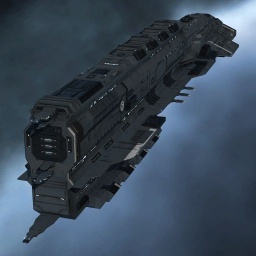 The Caldari State is one of the four playable factions and has a unique and distinct line of ships. 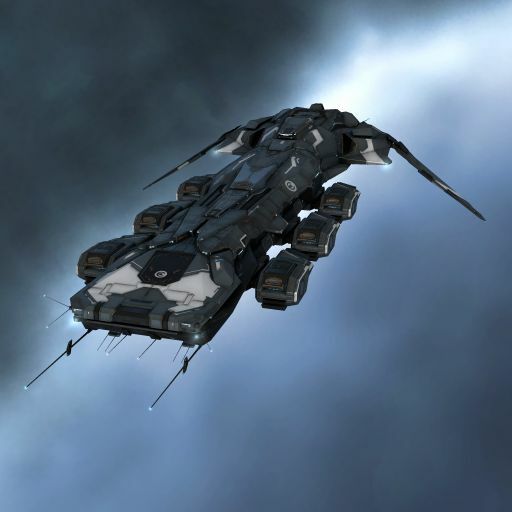 Caldari ships are designed to be shield tanked and thus they generally have more medium slots (so as to fit shield modules) and fewer low-slots. They can be passively, actively or buffer tanked depending on the situation, making them incredibly versatile. Caldari ships favor the use of missiles and, to a lesser extent, hybrid turrets. Missile Launchers can be categorized into two categories: short range launchers and long range launchers. Short range launchers sacrifice the range of the long range launchers for a higher rate of fire. There is a delay between shooting a missile and the missile reaching a target, which can lead to problems in PvP. This can be at least partially counteracted by using short range missiles. Missiles do the same damage at all ranges, but are heavily impacted by a targets speed and signature size. Missiles can do any damage type allowing the pilot to select the proper ammunition on a situational basis, making missile ships especially capable mission running ships. Caldari ships often have bonuses for kinetic missile damage, making the damage done with kinetic missiles particularly formidable. Missiles use no capacitor to fire. Hybrid turrets come in two varieties: blasters (short-range) and railguns (long-range). 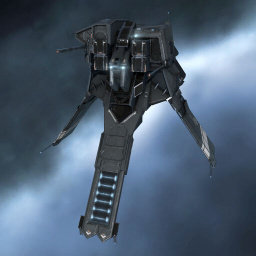 Caldari (hybrid) ships generally have range bonuses for hybrid turrets. Hybrid turrets always do kinetic and thermal damage and ammunition is on a sliding scale with the ammunition that does the highest damage generally having the shortest range and requiring the most capacitor to fire. Caldari Ships generally have a relatively small drone bay. 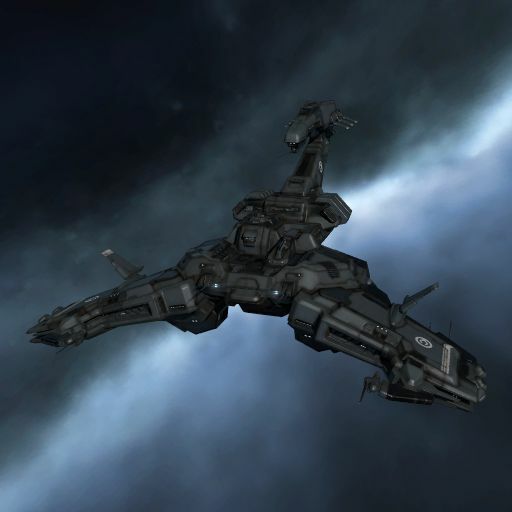 The Caldari State favors the Electronic Counter Measures (ECM) as their method of Electronic Warfare, and several Caldari ships receive ECM bonuses. ECMs are an incredibly strong form of electronic warfare, forcing an enemy ship to break its target lock for the duration of the cycle time. While Caldari ships don’t generally depend on capacitor as much as other races, capacitor is still important for active shield tanking and propulsion modules. Certain skills can be trained in order to achieve an optimal size, recharge rate and efficiency for a ships capacitor. 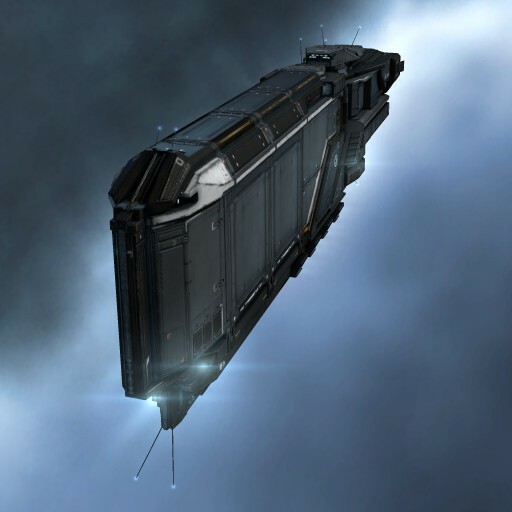 Bigger Caldari ships can generally fit drones. Pilots planning to do this should train the appropriate skills. Most ships can fit rigs, these need to be trained appropriately. Here are the Caldari T1 ships. Please follow the links to the specific pages of the ship database for more details and particular fits. The corvette is the first ship you start with. If you are Caldari, it will be an Ibis. A new corvette is given whenever you dock in your pod at a station where you do not have any ships. 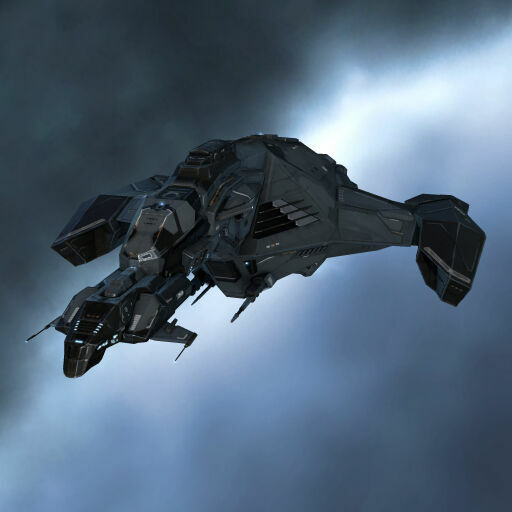 The Caldari Ibis corvette is a small but stout vessel that fits admirably well as a cargo hauler or small-scale miner. Its reliability makes it a good choice for novice ship captains. 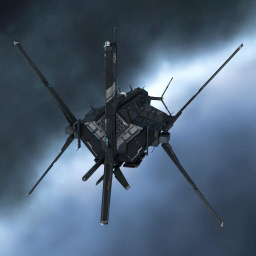 An Ibis can be used for the first few tutorial missions, although upgrading to a frigate as soon as it’s offered during the military tutorial is recommended. Frigates are small fast ships, used mostly for level 1 missions or for tackling and electronic warfare roles in PvP. In YC114 each major empire faction, having been embroiled in a harrowing, extensive, long-term war, recognized the growing need for support and logistics functionality in their vessels during the kind of protracted interstellar warfare that might otherwise prove exhausting for its participants. In the Caldari State, this led to the redesign and redeployment of the Bantam. The Bantam, a strong and sturdy craft, was originally an extremely effective mining frigate. After its redesign, the Bantam's large structure had to give way for logistics systems that ate up some of its interior room but allowed it to focus extensively on shield support for fellow vessels. The Bantam's role was changed from that of mining frigate to logistics frigate in the Retribution patch. The Condor is fast and agile. It has limited cargo space so it's not very suitable for trading or mining. It is best used as an assault vessel in a hit-and-run type of operations. 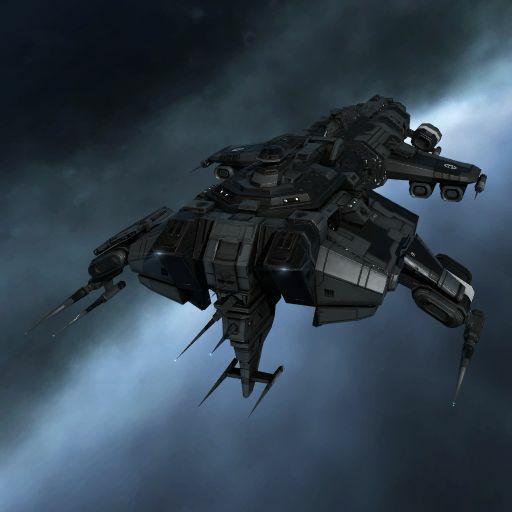 The Condor is a fast Caldari frigate. It can be used for level 1 missions and also as a tackler in PvP encounters. The Griffin is an Electronic Counter Measure frigate, often seen in E-UNI fleets offering Electronic Warfare support. ECM is touted as the most useful form of Electronic Warfare as it operates by breaking enemy target locks and preventing them from re-acquiring targets for 20 secs. This has the potential to greatly reduce the amount of damage being directed at your fleet, prevent enemies from using Remote Repair modules on each other or to break Warp Disruption, allowing an escape. For new players interested in trying out ECM the Griffin is the ideal starting place on your way up to the Blackbird and eventually the Scorpion. Expect to lose them a lot though, as ECM boats are often called primary by enemy commanders. The Heron has good computer and electronic systems, giving it the option of participating in electronic warfare. But it has relatively poor defenses and limited weaponry, so it's more commonly used for scouting and exploration. The Heron is the T1 Caldari scanning frigate and a good exploration starter ship. It is useful for probing down exploration sites and wormholes, though it is weak in combat so you should switch to a tougher ship to do any sites you find. The Kestrel is a heavy missile boat with one of the most sophisticated sensor arrays around. Interestingly enough, it has been used by both the Caldari Navy and several wealthy trade corporations as a cargo-hauling vessel. It is one of few trading vessels with good punching power, making it ideal for solo trade-runs in dangerous areas. 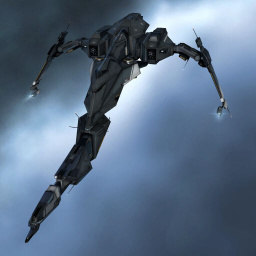 The Kestrel was designed so that it could take up to four missile launchers but as a result it can not be equipped with turret weapons nor with mining lasers. 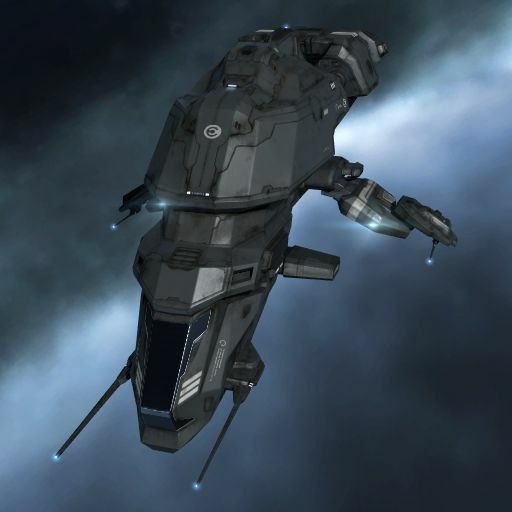 The Kestrel is a commonly flown frigate in New Eden, both for PvP and PvE. With its four standard launchers, it is an excellent choice for level 1 missions and static complexes up to DED 2. It can be comfortably flown with fairly low skills, primarily due to its ability to 'Range Tank'. i.e. ; stay at sufficient range to eliminate or mitigate a great deal of incoming damage. Furthermore, missile systems make for ideal starter weapons as they do not require capacitor energy (so reducing the need for good capacitor skills) and their damage is not affected by such factors as tracking, optimal ranges and falloff. 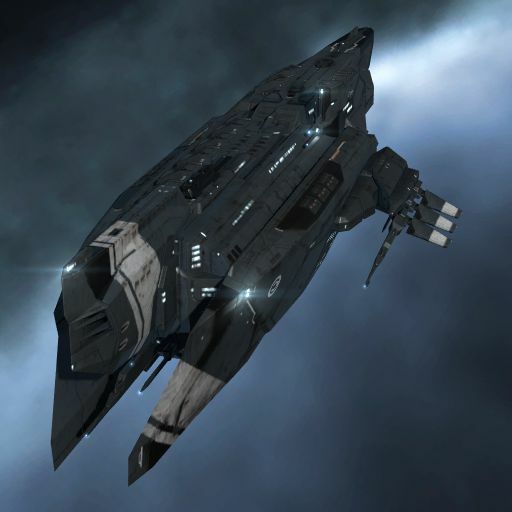 The Merlin is the most powerful combat frigate of the Caldari. Its role has evolved through the years, and while its defenses have always remained exceptionally strong for a Caldari vessel, its offensive capabilities have evolved from versatile, jack-of-all-trades attack patterns into focused and deadly gunfire tactics. The Merlin's primary aim is to have its turrets punch holes in opponents' hulls. The Merlin is a capable Caldari frigate, commonly used in PvP. 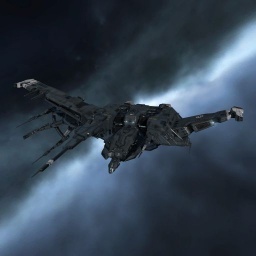 It has overall higher damage and survivability than other comparable racial frigates. The four mid-slots make the Merlin useful as a tackler and its use of turrets make it a relatively quick train. Destroyers are ships slightly larger than frigates. They use the same sized modules as frigates, but have more high slots. They are often used in PvE for level 1 missions. They are rarely used in PvP, as their DPS is not impressive without high skills, although they can sometimes fill the role of anti-interceptor. The Corax adheres to the well-established Caldari design philosophy that there is strength in numbers, and that the messages sent to an enemy should be strong and unequivocal. This applies equally to peace talks as it does to actual engagements on the battlefield - there should be no doubt in the strength of Caldari spirit, nor in the fact that when one blow has been struck, others are going to follow. As such, the Corax does not pepper its opponents with pellets from a gun, nor does it toast them with continuous beams of light. Instead, it delivers strong, hard-hitting payloads at a pace that's not only steady, but rapid enough to rock its targets and knock them off-balance. The Corax was introduced in the Retribution expansion. 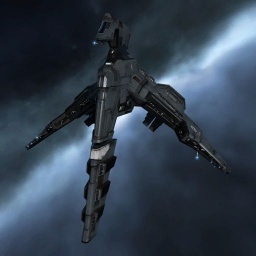 An alternative to the Cormorant's hybrid turret weapon preference, it offers new pilots the opportunity to follow the missile centric play style of the Kestrel and, later, the Caracal, without being forced to train into the gunnery skills of the Cormorant. The Corax's fragile tank lends itself well to a sniping style of combat, one that uses the ship's nimble body to keep it at ranges larger than 20Km. In PVE, by keeping targets at range, the Corax should have no problem running most level 1 and level 2 missions. The same philosophy works for PVP where the Corax can kite most ships with relative ease. The Cormorant is the only State-produced space vessel whose design has come from a third party. Rumors abound, of course, but the designer's identity has remained a tightly-kept secret in the State's inner circle. The Cormorant has eight high slots, making it a good starting vessel to use for salvaging wrecks. Due to its small size it can move speedily across deadspaces, but also has enough cargo space to hold the salvage you collect. When it is used in PvE as a combat ship (Level 1 missions and the Sisters of Eve storyline arc) it is strongly recommended that a 'kiting' technique is used, meaning that the capsuleer should keep his range from the NPC ships. In PvP it suffers from a comparatively large signature radius, making it easier to hit with bigger weapons, which can be problematic with the frigate sized tank of the Cormorant. 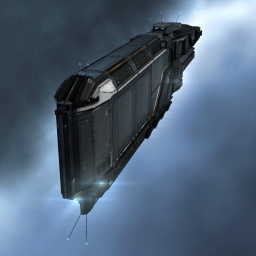 Cruisers are Eve's medium-sized ships. 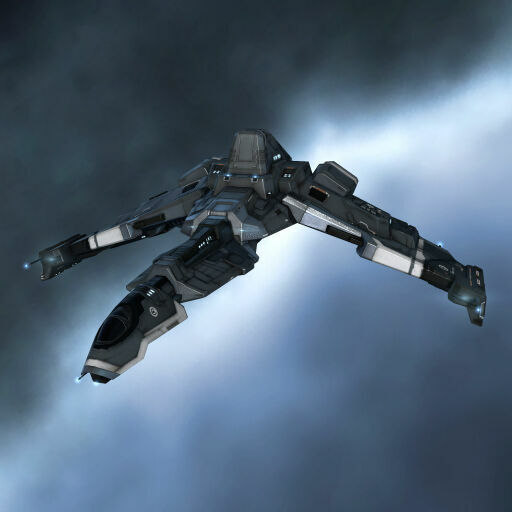 The Blackbird is a small high-tech cruiser newly employed by the Caldari Navy. Commonly seen in fleet battles or acting as wingman, it is not intended for head-on slugfests, but rather delicate tactical situations. The Blackbird makes a formidable ewar ship and is generally used as such. You can find a detailed discussion of Blackbird fitting here. The Caracal is a powerful vessel that specializes in missile deployment. It has excellent shield defenses, but poor armor plating. Its missile arsenal, when fully stocked, is capable of making a piece-meal of almost anyone. The Caracal is arguably the most effective Caldari cruiser for PvE. It receives strong bonuses to increasing the range of its missiles, as well as a rate of fire bonus for missiles. It can fit an effective shield tank and keep opponents at bay while dealing damage to them from afar. It has no bonus for a specific damage type, so can match the missile type to the NPC. The Caracal is also very popular for PvP, for example as dedicated frigate-hunter as its Rapid Light Missile Launchers can deal a huge amount of DPS to frigates. With higher fitting skills it is also possible to equip it with a full rack of Heavy Missile Launchers and achieve ranges in excess of 130km. With the retribution patch, the Moa now has a bonus to hybrid damage as well as the usual shield resistance, rather than the previous range bonus. This means the Moa is now more suited to being a pure brawler rather than a sniper. With the extra damage the Moa is quite suitable for PvE, and could also serve as a PvP brawler. In YC114 each major empire faction, having been embroiled in a harrowing, extensive, long-term war, recognized the growing need for support and logistics functionality in their vessels during the kind of protracted interstellar warfare that might otherwise prove exhausting for its participants. 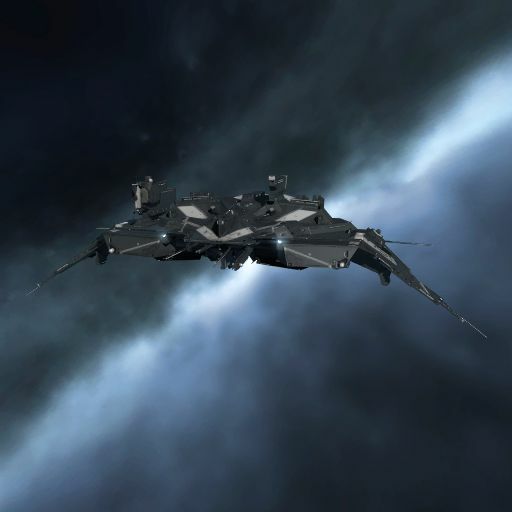 Both Frigate and Cruiser-class ships were put under the microscope, and in the Caldari State the outcome of the re-evaluation process led, among other developments, to a redesign and redeployment of the Osprey. The Osprey originally offered excellent versatility and power for what was considered a comparably low price. After its redesign, its inbuilt mining technology - now a little creaky and long in the tooth - was gutted from the Osprey and replaced in its entirety with tech of a different type, capable of high energy and shield transfers. The Osprey was changed in the Retribution patch to a full logistics cruiser. It is a t1 version of the more capable Basilisk, but is by no means ineffective. 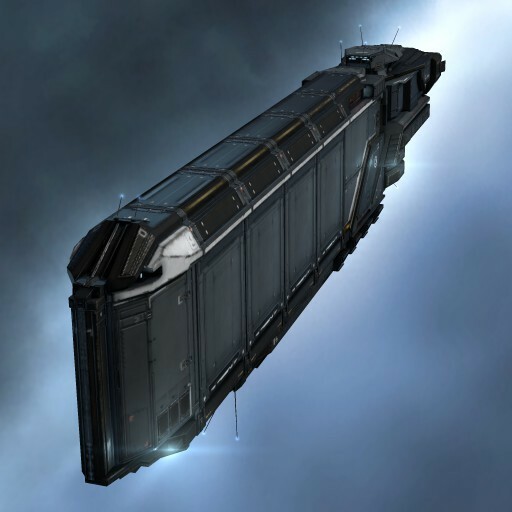 It is one of the two Shield logistics ships, and because of its bonus to Energy Transfer works best when paired with other Ospreys or Basilisks. 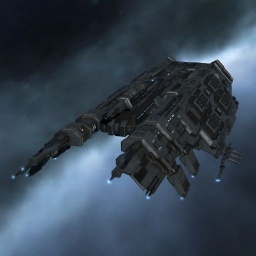 Battlecruisers are sometimes considered a more powerful version of Destroyer class ships. They fit the same sized weapons as Cruisers except for the Attack Battlecruisers which fit Battleship sized weapons, and are more widely used as a damage dealing ship than Destroyers. The Drake is an incredibly strong PvE ship due to its shield resistance which gives it an impressive tank. Unfortunately it also features slow speed and relatively low dps for a battlecruiser. Although it was at some time one of the most popular ships for PvP, due to ship balancing it is now only occasionally used PvP, typically as bait. It is however still very effective in PvE because of its tank and range and its ease of use especially with a passive tank. The Ferox is a versatile battlecruiser capable of a strong passive or active shield tank and of over 125km optimal range with railguns or heavy kinetic and thermal damage with blasters. It is a popular fleet PvP ship and part of some Nullsec fleet doctrines. The Naga was designed in YC 109 by Corporate Police Force as an anti-Guristas ship, sacrificing the usual robust Caldari Navy standards in favor of supporting battleship-class weaponry. It was rejected by Hyasyoda management for being overspecialized. The Naga design remained in the Hyasyoda archives, forgotten (save for a cameo in the Gallente holo-series CPF Blue). In YC 113 the Caldari Navy entertained contracts for a new tier of gunboat battlecruiser. Hyasyoda quickly submitted and won with the Naga, underbidding both Kaalakiota and Ishukone. The Naga is effective in any campaign where fast, mobile firepower is required. The Naga is the Caldari tier 3 battlecruiser. While requiring a bit more training than the Drake and Ferox, it can fit battleship sized guns while retaining the agility and tank of a battlecruiser. It can be effectively fit with long or short range turrets, but is rarely seen in PvP as pure sniper configurations are not effective with current doctrines. Battleships are the biggest combat ships in the game before Capital-class ships. 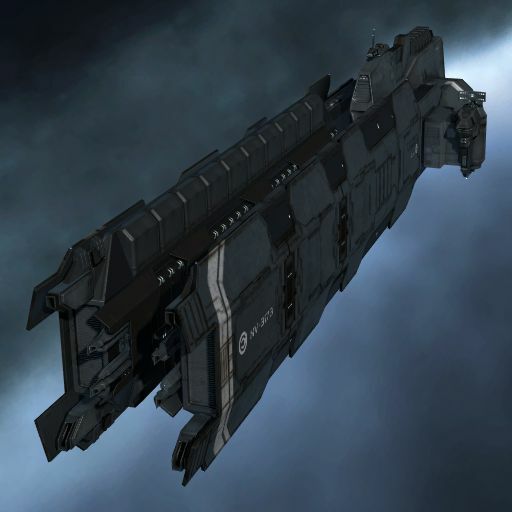 Battleships usually mount large sized weaponry and mostly used as a damage dealing combat ship in Eve, although there are several Battleships that have different role, such as the Scorpion. 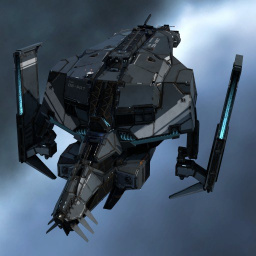 The Raven is possibly the most used PvE ship for Level 4 missions as it has good range when fitted with Cruise Launchers (in addition to the usual effectiveness of selectable damage type from missiles) and can sport a good active shield tank (either cap-stable with a Large Shield Booster or a X-Large Shield Booster for non-cap-stable 'pulsing'). Its drawbacks are a small drone bay, usually filled with one flight of light drones and one flight of medium drones. In addition it is a very slow ship, as most Caldari boats are. For PvP it can be fitted with Torpedo Launchers to get good close range DPS or with Cruise missile Launchers for sniping distances. The Rokh is a solid shield-tanked hybrid turret platform. Although it doesn't have the raw damage bonuses found on the Megathron and Hyperion, its optimal bonus sometimes helps it deal more applied DPS when fitted with blasters. When rail-fitted it can achieve tremendous optimal ranges -- even, uselessly, beyond the hard 250km targeting range limit. Although it can be used for PvE, most Caldari mission-runners prefer missiles' flexibility and ease-of-use. It does have a role as one of the entry options for new pilots who want to join Incursions. The first Scorpion-class battleship was launched only a couple of years ago, and those that have been built are considered to be prototypes. Little is known of its capabilities, but what has been garnered suggests that the Scorpion is crammed to the brink with sophisticated hi-tech equipment that few can match. The Scorpion is the Caldari ECM Battleship. With its 8 mid-slots, it is capable of either fitting up to 8 jammers/bursts, making it the ECM weapons platform of choice. In order to free up mid-slots, some pilots choose rely on a weak armour buffer tank in its four low-slots, while others fit shield modules for survivability and use their low slots to enhance their jammers. The Badger-class industrial is the main cargo-carrier for the Caldari State, particularly in long, arduous trade-runs. It’s huge size and comfortable armament makes it perfectly equipped for those tasks, although the Caldari seldom let it roam alone. 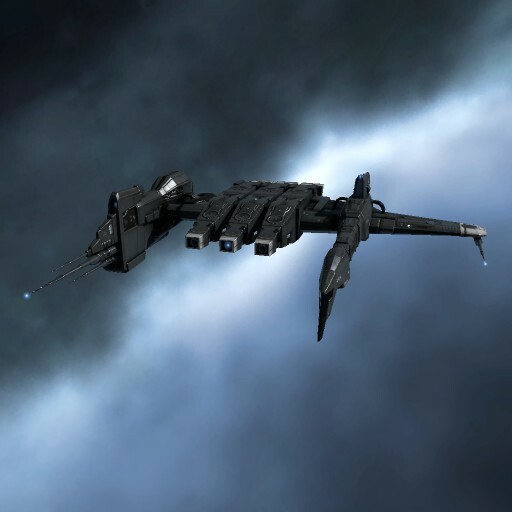 The Badger is the basic Caldari industrial hauler ship. It's useful to train to use a Caldari Industrial in order to haul ore from your jetcans to the station, or for filling with mission loot to haul to a trade hub in order to sell for larger profit margins. 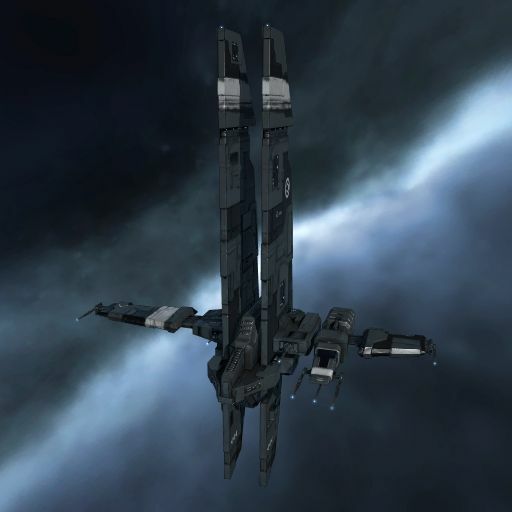 Level 3 courier missions will likely need a ship the size of a Badger to complete them. The Tayra, an evolution of the now-defunct Badger Mark II, focuses entirely on reaching the highest potential capacity that Caldari engineers can manage. The Tayra (formerly called the Badger Mark II) has a cargo hold noticeably larger than the Badger, and is better defended. However it is marginally slower at subwarp speeds, and takes longer to turn. In general though the larger cargo hold offsets the disadvantages and so training Caldari Industrial to III to fly this ship is definitely worth it, particularly if you constantly find yourself filling the Badger's hold. This page was last modified on 22 May 2017, at 15:16. This page has been accessed 483,069 times.